Ramadevi and Mohan were looking forward to having a new addition into the family. They could hardly contain their excitement. They live near Visakhapatnam where they do not have access to a proper childcare centre. 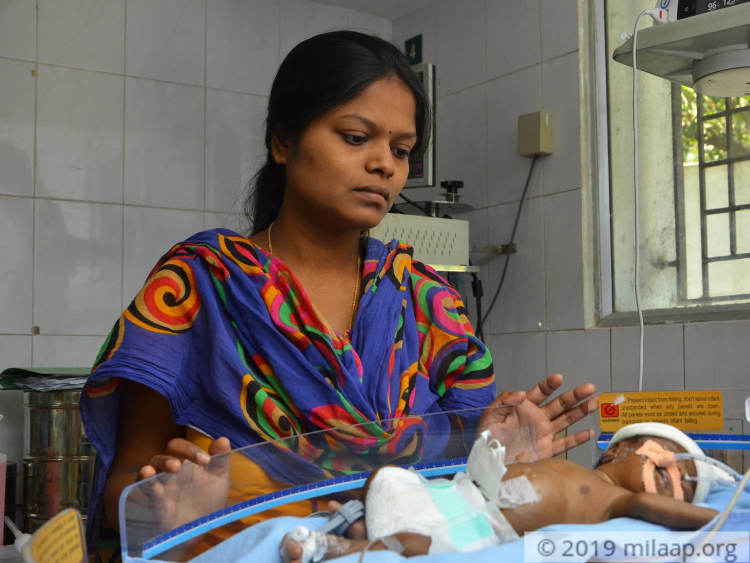 Soon after their 7th month scan, they came to Chennai for further treatment. 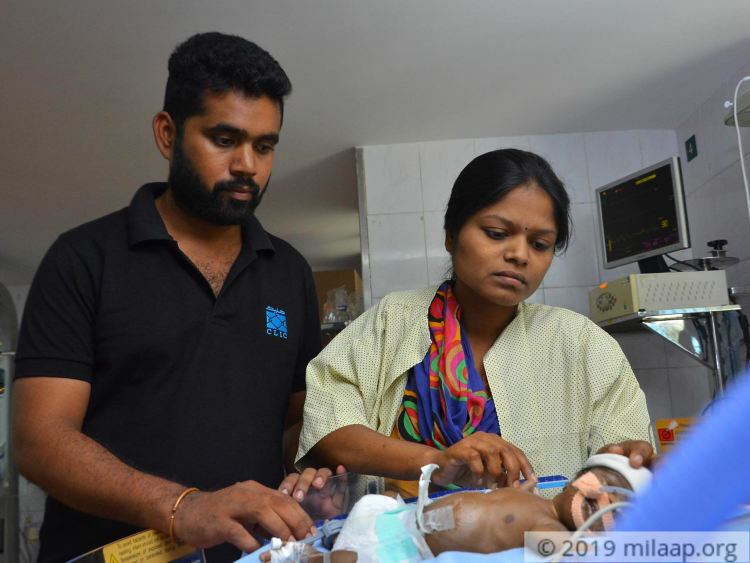 Ramadevi had to undergo Intrauterine transfusion procedure (red blood cells from a donor are injected into the fetus) During her second cycle, she started to bleed heavily and she had to undergo a c section immediately. 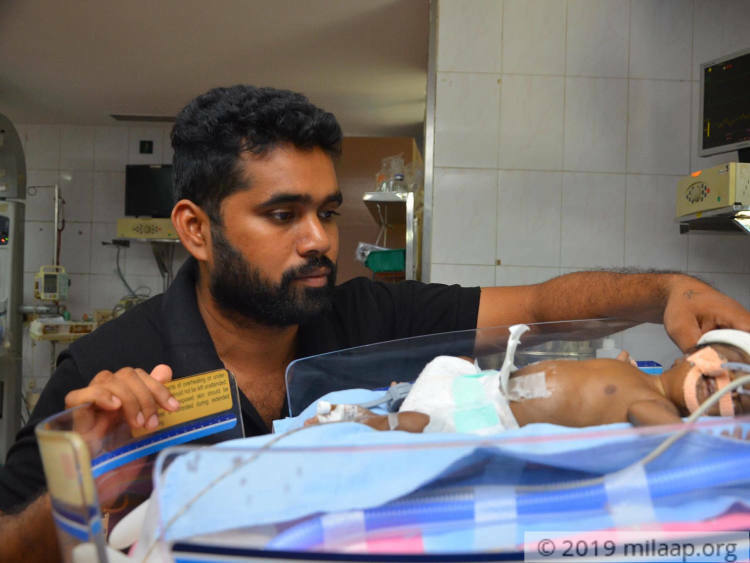 Ramadevi and Mohan's baby is now out of the ventilator support. He has had 3 blood transfusions so far, and he's getting healthier with each day. However, his fight isn't over. 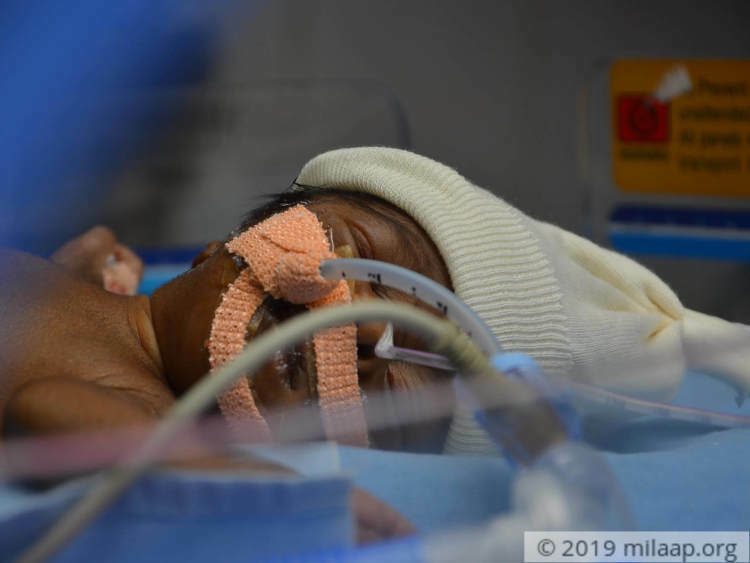 While his parents feel hopeful with every small progress he makes, he still needs continued treatment in the NICU for at least 5 weeks to recover completely. Mohan has a small internet shop and earns around Rs 15,000 per month. 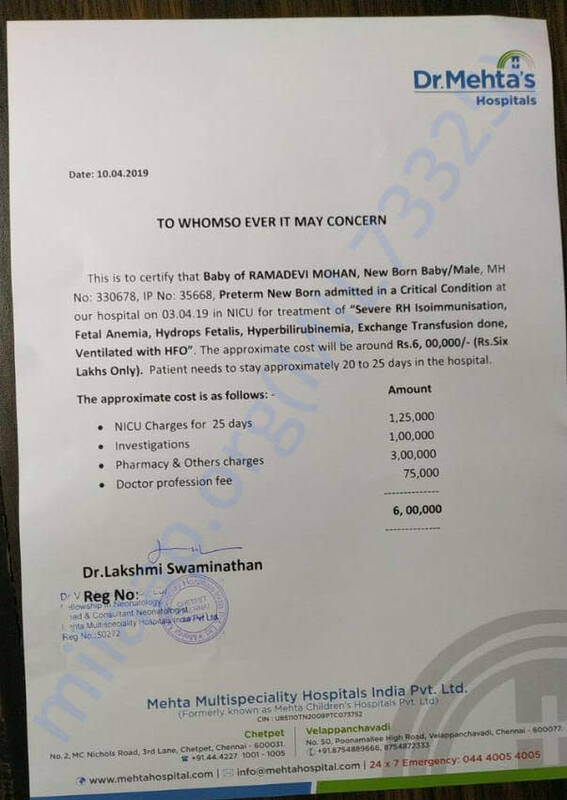 Ramadevi resigned from her job in a call centre after she became pregnant, she was earning Rs 10,000 per month. Mohan is now staying in the hospital taking care of the baby. He does not understand the language spoken here and with no one to help, he is struggling. They have spent around 2 lakh by selling their jewels and borrowing from friends. Now they need 8 lakhs more to continue the treatment. Without your help, they'll lose their baby.